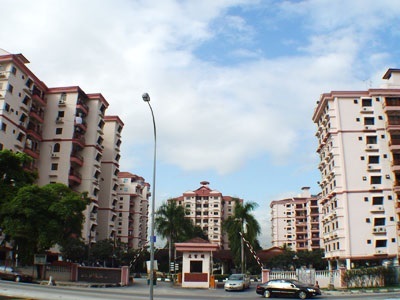 Sri Manja Court condominium gives you that feeling, within the modernity, spaciousness and beauty, there's an unobtrusive blend of what you look for in a prized possession: a home-like keepsake and a wise investment. It is one that offers great convenience both in terms of location and facilities. These conveniences are part of wholesome living: pleasant and fulfilling. And more, it offers attractive landscapes for that cool touch of green when the body needs soulful relaxation. Built-up Area : 825 sq.ft. - 1,215 sq.ft.